I’ve spent the last year practically immersing myself in the Utopia Studies canon, which might explain why Oh Se-kwon’s Utopia’s Avenger grabbed my attention. his people, and left him without a home, and the search for money to rebuild Yuldo. But returning the merchant’s daughter safe and sound for the reward money proves more difficult than Hong and his companion ever expected. Utopia’s Avenger succeeds on three fronts: art, action, and concept. The first is obvious the second you open the book. 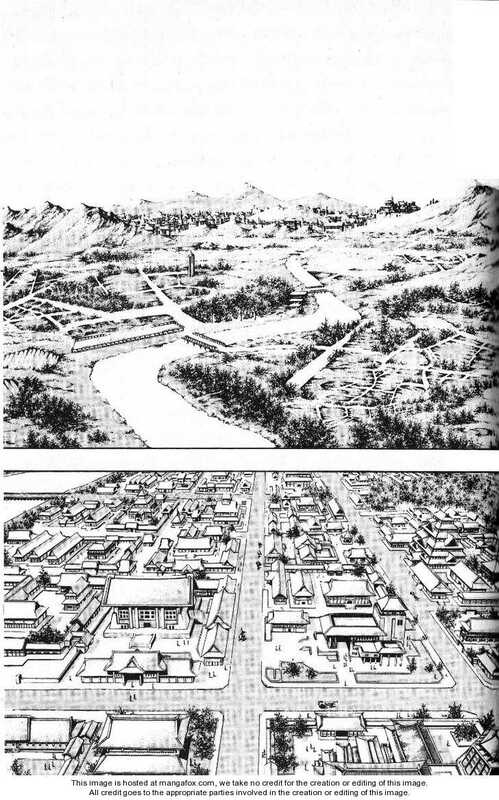 The landscapes and monsters are enormously detailed, and even simpler panels are detailed enough to allow Se-kwon’s tale to rise above other manga titles. Se-kwon’s style is meticulous and beautiful, and it mixes well with the dark story set up in Utopia’s Avenger. The monsters are particularly interesting in this respect, in part because the detail is enticing, but also because they remind me of H. R. Giger’s work. They are dark, wicked, and terrifying — exactly what monsters should be — and are exciting when placed in battle with Hong and his companion. 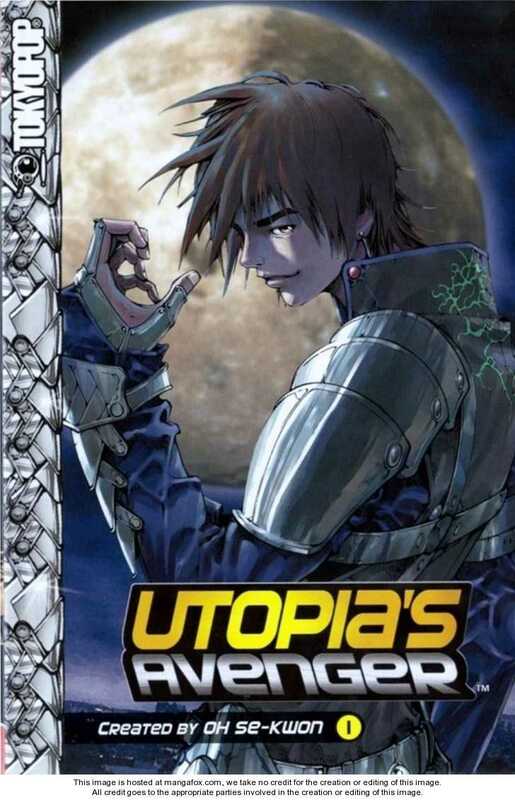 Much of Utopia’s Avenger is action-oriented, with plenty of battles in the first volume alone to keep the action-obsessed fan glued to the page. The battles, however, are not drawn out to their extremes (at least, not in the first volume). Instead, they help to establish the power of the main character, but also his arrogance. Hong often sends in his companion to do the dirty work while sitting on the sidelines and stepping in only when things turn for the worst. But this doesn’t always work in his favor; Hong’s arrogance makes him stupid and overly trusting, which both result in a less-than-ideal situation in the end of the narrative. The arrogance narrative is interesting, but it is also problematic because most of the book is spent showing uneven battles between Hong (and companion) and his various enemies. Future volumes, I hope, will establish a more reasonable antagonist for the hero. Likewise, the narrative suffers from comedic timing. Hong’s companion is portrayed as a pervert, and many jokes are had at his expense, sometimes immediately after a disturbing moment in the narrative (i.e., after a kidnapping). Other times, jokes occur during battles, which sometimes removed the tension of the moment. Hong’s arrogance and frequent success make it difficult enough to buy into the threat of Se-kwon’s monsters, but throwing in humor at inopportune moments only further removes the sense of dread that should exist in a story about fallen kingdoms and heroes. The tension is also dispelled by the characters yelling the spell or move they were performing, which I have always found irritating even in traditional fantasy literature. Magic that requires enunciation is, in my opinion, neutered of its power. 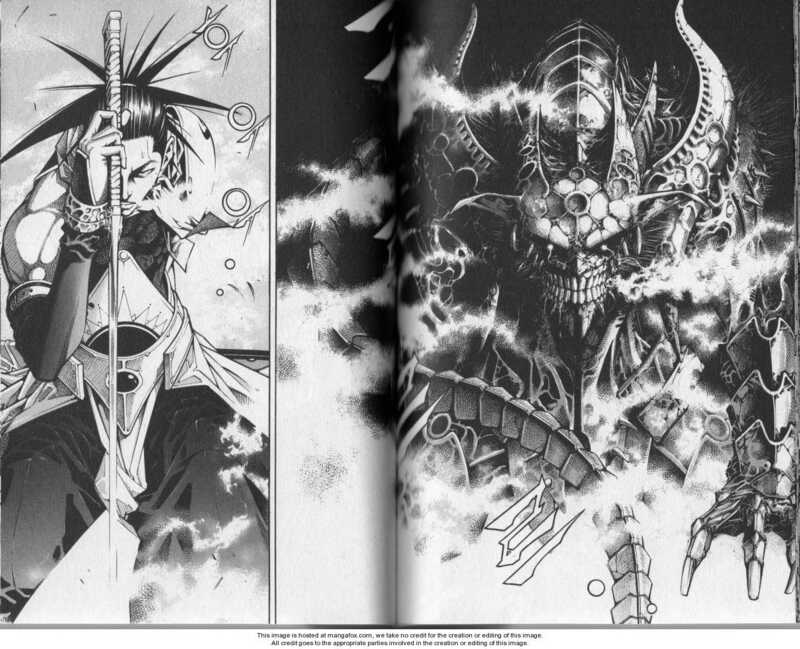 These are, of course, staples of manga and may not bother more seasoned readers. Regardless, the concept for Utopia’s Avenger is an interesting one. The world is full of monsters, magic, and warriors, all within a narrative of a fallen hero who desperately wants to bring back the ideal kingdom he once constructed. The fact that the hero must traverse the dangers of a clearly imperfect world in order to regain the idealism of a lost one ties Se-kwon’s story to a host of mythic tales about establishing utopias. Utopia’s Avenger, however, separates itself by being about reacquisition, rather than initial attainment. But it is also a story with a fascinating underlying question: what exactly was so ideal about Yuldo if it was founded on the basis of a warrior’s heart? Hopefully Se-kwon answers these questions in future volumes, allowing small details of the lost world to permeate the boundaries of the new, but broken one. If you’re a fan of series like Naruto, then Utopia’s Avenger is definitely for you. If not, then give this one a try anyway. It’s high-octane fantasy manga and worth giving a shot. To learn more about Utopia’s Avenger, you’ll have to do so on Amazon, since Tokypop has apparently shut down. Sad.